Singapore’s Fleet Modernization: Slow and Steady? Among the maritime forces of the small Southeast Asian states, the Republic of Singapore Navy (RSN) stands as one of the most robust. As some regional partners, such as the Indonesian Navy, struggle to acquire a submarine fleet, the RSN is currently well-served by two Challenger-class (formerly Sjöormen-class in the Swedish Navy) and two Archer-class (formerly Västergötland-class in the Swedish Navy) diesel-electric submarines, which Singapore began acquiring at the turn of the century. Yet RSN defence planning and strategic intent is difficult to discern, since Singapore has never released a formal maritime strategy or, for that matter, a comprehensive national security strategy. The closest approximation of such a document was released in 2004, which has not been updated since, and discusses the importance of law enforcement and intelligence agencies in the fight against terrorist organizations like Jemaah Islamiyah (JI) and al-Qaeda. In the absence of a clear road map for the development of the RSN, an excellent analysis is offered by Dr. Swee Lean Collin Koh in the 18-page Naval War College Review article “Seeking Balance: Force Projection, Confidence Building, and the Republic of Singapore Navy,” published in 2012. The author focuses on the evolution of Singapore’s maritime force to date in order to offer some impressions of its future course, detailing how the RSN matured from a “sea-denial” navy to a “sea-control” navy. With regard to that maturation, Dr. Koh points out three procurement projects that were key to the RSN attaining the capacity for sea control. First, the aforementioned acquisition of a submarine fleet grants the RSN some capacity for force projection and covert intelligence-gathering beyond Singapore’s waters, though this has drawn condemnation from neighbours like Indonesia. It seems the RSN is likely to retain these capabilities in the future, as it was announced in late 2013 that Singapore intends to phase out its two older Challenger-class submarines and replace these vessels with two Type 218 diesel-electric submarines designed by Germany-based ThyssenKrupp Marine Systems, the first of which is to be delivered in 2020.
provided the RSN with true blue-water combat capabilities and greatly contribute to the force’s capacity for anti-air and anti-submarine warfare. This was, according to the author, not a procurement ‘out of left field’ but instead built incrementally on existing RSN capabilities, such as the six Victory-class corvettes Singapore acquired from Germany’s Friedrich Lürssen Werft in 1990-1991. In any case, the blue-water capability of the RSN has subsequently been demonstrated by the deployment of Formidable-class frigates RSS Intrepid in 2012 and RSS Tenacious in 2014 in support of Combined Task Force 151 in counter-piracy operations in the Gulf of Aden. Republic of Singapore Navy frigate RSS Formidable (68) steams alongside the Indian Navy frigate INS Brahmaputra (F 31) in the Bay of Bengal during exercise Malabar (US Navy photo). Finally, the RSN’s four locally built Endurance-class landing platform docks (LPDs) provide the force with strategic sealift. 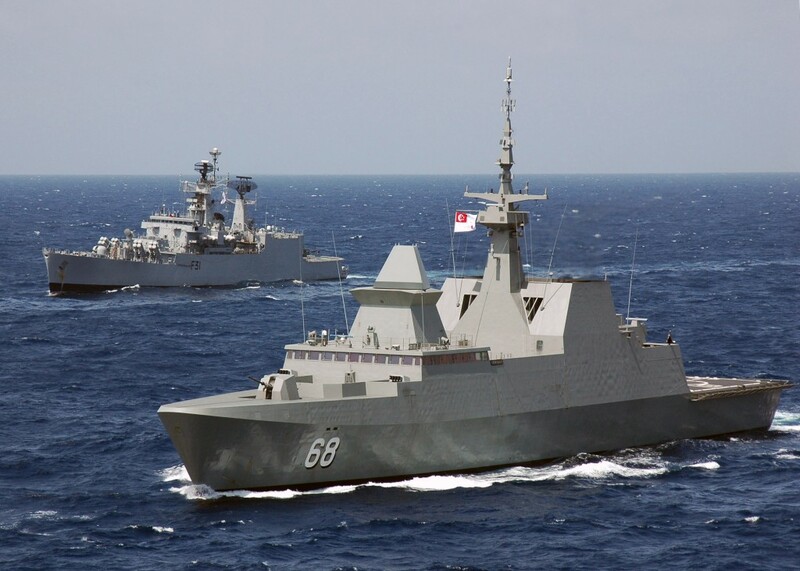 These are indicative of Singapore’s strategic intent insofar as the past 15 years of defence procurement are concerned – namely that Singapore intends to employ its navy first and foremost in a humanitarian role in multilateral operations. For example, three of the RSN’s four LPDs were deployed in response to the 2004 tsunami and earthquake in Aceh, Indonesia, providing valuable humanitarian assistance. The LPDs have since been deployed in support of reconstruction efforts in Iraq, counter-piracy operations off the coast of Somalia, and on search and rescue missions in the Indian Ocean region. 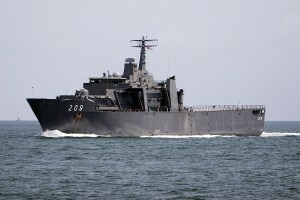 Interestingly, a fifth vessel of this class was produced by Singapore for export to Thailand in 2012. This tendency to participate in multilateral operations and exercises, which has increased dramatically since the 1980s, reflects an important undercurrent of Singapore’s defence planning, according to Dr. Koh. Although the resources and equipment available to the RSN could have been much more rapidly expanded, fleet expansion and modernization has been incremental so as to avoid setting off a regional arms race. As a small state, Singapore has a particularly keen interest in conflict prevention, opting to resolve any disputes in the courts rather than on the battlefield. This strategy has served Singapore well, such as when an ongoing dispute between Singapore and Malaysia over ownership of Pedra Branca, several islets at the eastern entrance to the Singapore Strait, was resolved in 2008 by an International Court of Justice decision in favour of Singapore’s claim. Meanwhile, in order to avoid any future tensions with Malaysia, the RSN has delegated patrols of such waterways to the Police Coast Guard, which acquired a fleet of ten specially designed Shark-class patrol boats from Damen Schelde in 2009. These vessels are in fact armed – specifically with a Mk 23 Rafael Typhoon Weapon System with 25mm Bushmaster chain gun and two CIS 50 12.7mm machine guns – but do not share the overtly militaristic impression that an RSN patrol would likely convey. authorities and the employment of extraordinary means, such as the use of military force, rather than following the course of political dialogue. Put differently, Singapore’s assertion of ownership over a specific islet or body of water in a kind of ‘National Security Strategy’ would only serve to escalate tensions, prompting neighbours to make equally bold claims and arm themselves to enforce those same claims. Such escalation can be seen in other parts of the Asia-Pacific region due to assertive behaviour from one or more parties; Singapore’s quiet caution has helped to avoid the spread of such conflict and reinforced international legalist norms of behaviour. A development not anticipated by this article, however, is the emergence of a new, locally-produced ship design to succeed the Fearless-class patrol vessels that have served the RSN for two decades. The Independence-class littoral mission vessel is larger in size, with a displacement of 1,200 tonnes and a length of 80 metres, and will be considerably more adaptable than the previous patrol vessels. In total, eight vessels will be built, the first of which is expected to reach completion by the end of 2016. 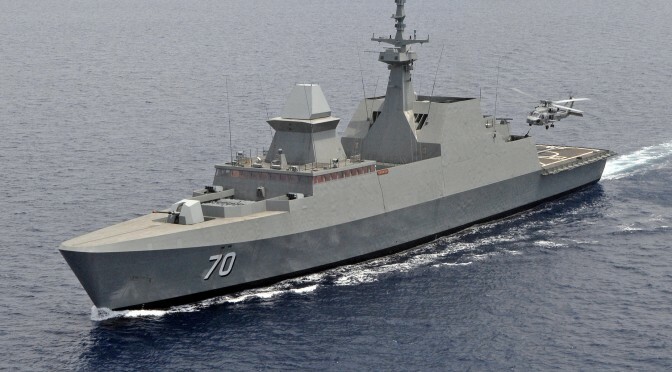 Given that the LPDs were also built at home, this is very likely an indication that Singapore seeks to develop its domestic shipbuilding industry and it will be worth watching whether this is followed by efforts to promote designs for export. 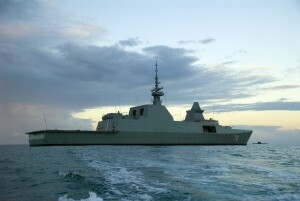 This would not be unprecedented, considering the aforementioned sale of an LPD in 2012 to the Royal Thai Navy. It also leaves some question as to whether Singapore, following the passing of Lee Kuan Yew, may depart from its historically cautious approach and seek a new, more assertive role for the RSN. Until that question is settled, Dr. Koh’s work for the Naval War College Review is the clearest narrative readers may find of RSN fleet modernization and expansion. Sometimes the best resources are not hidden behind a paywall but are freely made available to researchers. Thanks to the Congressional Research Service’s 114-page report Changes in the Arctic: Background and Issues for Congress by Ronald O’Rourke, with a recent version released in September 2015, such is the case for those wishing to understand strategic trends in the Arctic from the perspective of the United States. This is especially timely, as US President Barack Obama toured Alaska from August 31, 2015, becoming the first American president to visit America’s Arctic region. On September 4, just days after President Obama arrived in Alaska and the very same day the CRS released its report, five People’s Liberation Army Navy (PLAN) vessels – three surface combatants, an amphibious landing vessel, and a replenishment ship – entered within twelve miles of the Alaskan coastline. The report offers a comprehensive overview of legislation and international agreements concerning the Arctic, as well as the economic opportunities yet to be realized in the Chukchi Sea, Beaufort Sea, and elsewhere in the region. Although Shell has since cancelled its plans for offshore drilling in the Chukchi Sea, oil and other commodity prices could at some point in the future return to levels where Arctic resource exploitation becomes profitable once again. Arctic shipping is also becoming viable – that much was made clear when MV Yong Sheng became the first container-transporting vessel to transit from its home port in China along the Northern Sea Route, Russia’s Arctic waterways, to reach Rotterdam, Netherlands in August 2013. It is this increased opportunity for business in the region which presents new challenges for the United States Coast Guard (USCG) and United States Navy (USN). As the report highlights, eight ships were lost in Arctic Circle waters in 2006. Less than a decade later, in 2014, there were 55 ship casualties in these waters. Thus far, the risk to human life and environmental impact of these accidents have been relatively limited, but it is apparent that US maritime forces currently lack the means to respond quickly and effectively to a serious disaster in the country’s Arctic waterways. The CRS highlights two capability gaps: basing and icebreaking. Currently, the largest USCG base is located at Kodiak Island, which is on the south coast of Alaska near the Aleutian Range. USCG vessels operating from Base Support Unit Kodiak could respond quickly to an incident along existing shipping lanes near the Bering Sea but would need days or even weeks to reach the site of a ship collision or oil spill in the Chukchi Sea or Beaufort Sea. The US Army Corps of Engineers has been investigating the suitability of other Alaskan communities, specifically Nome or Port Clarence, as possible sites for a deepwater port from which USCG vessels could operate in the future. Located much further north along the Alaskan coast – jutting out into the Bering Strait in fact – either location would significantly cut down USCG response times in the Chukchi Sea. Port Clarence is already home to a small USCG presence: a 4,500 foot long paved runway capable of accommodating search-and-rescue (SAR) aircraft. Until a deepwater port is established within range of the Chukchi Sea, however, the US capacity to exert sovereignty in the Arctic will be severely limited. 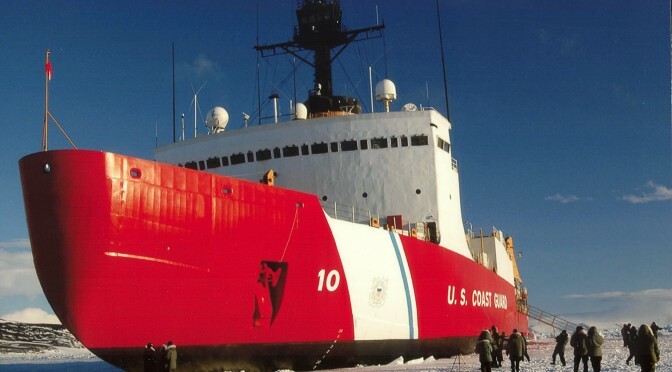 The other capability gap identified in the report relates to the USCG’s shrinking fleet of icebreakers. After USCGC Polar Sea suffered an engine casualty in June 2010, the US has only the heavy polar icebreaker USCGC Polar Star and the medium polar icebreaker USCGC Healy at its disposal. Although Polar Star was refurbished and re-entered service in December 2012, this is only expected to extend the vessel’s service life until approximately December 2022. Unless Polar Sea is repaired or the White House significantly steps up efforts to acquire a new heavy polar icebreaker, the USCG could soon find itself unable to reach the US’ northernmost waterways due to sea ice cover. Much as the USCG is currently under-equipped to project American power in the Arctic, the USN also suffers a capability gap. 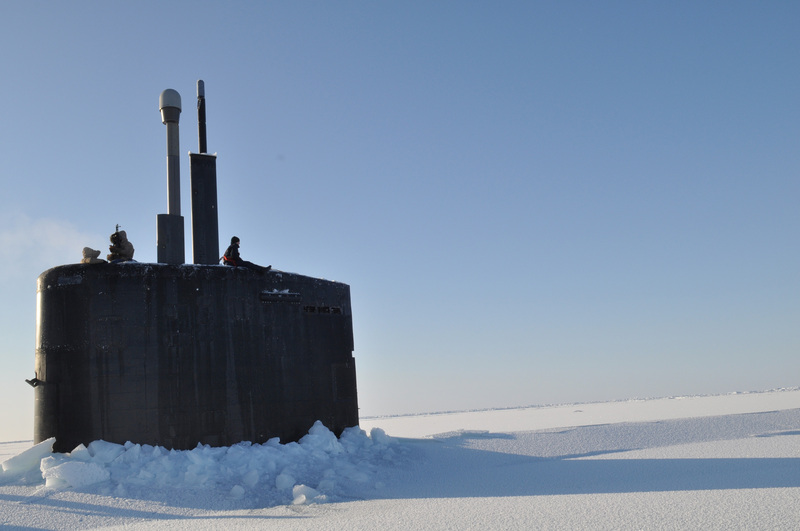 The updated Navy Arctic Roadmap for 2014-2030, which was release in February 2014, acknowledges that opportunities for Arctic transits will be limited in the near term but commits to obtaining the capability necessary to operate for sustained periods in the Arctic by the 2020’s. How the USN intends to attain this capability in the mid-term is unclear. In 2002, the Norwegian Coast Guard gained the icebreaking-capable offshore patrol vessel Svalbard, which has ensured a permanent presence for Norway in the Barents Sea and the Arctic waterways surrounding the Svalbard Islands. By spring 2018, the Royal Canadian Navy will begin taking delivery for the first of its new Harry DeWolf-class Arctic offshore patrol ships, a fleet of five to six vessels with some limited icebreaking capabilities and a similarly sustained presence in Canada’s expansive Arctic territory. The USN will presumably need vessels with characteristics closely resembling those of the Harry DeWolf-class and Svalbard-class; ice strengthening ships from the Military Sealift Command (MSC) as proposed in the Arctic Roadmap would very likely be insufficient, especially when China has demonstrated a willingness to engage in freedom of navigation operations (FONOPS) in American-claimed waters and the Russian Federation is aggressively expanding its already impressive icebreaking capabilities. The Arctic Coast Guard Forum (ACGF), which was established in October 2015, will ensure some level of security for Arctic shipping and may even go toward reducing tensions in the region. Canada, which chaired the Arctic Council from 2013 until April 2015, endeavoured to establish just such a forum for exchange among the coast guards of the Arctic Council’s eight member states (Canada, Denmark, Finland, Iceland, Norway, Russia, Sweden, and the US) but was unable to bring the Russians to the negotiating table. The US, which will chair the Arctic Council until April 2017, is clearly willing to assemble a toolbox of so-called ‘confidence and security-building measures’ (CSBM’s) to ensure any future disputes in the Arctic are resolved peacefully. With the conclusion of an Arctic Search and Rescue Agreement (ASARA) in 2011, which clarifies which states have responsibility for SAR operations in certain Arctic waterways, there is clearly a growing interest in cooperatively policing Arctic waterways. As outlined here, the CRS report is a valuable resource for those wishing to gain a strong basis of understanding with regards to the Arctic. Readers are fortunate, then, that an updated edition of the report continues to be released almost quarterly. Paul Pryce is a Senior Research Fellow at the Atlantic Council of Canada and a Board Member at the Far North Association. He is also a long-time member of the Center for International Maritime Security (CIMSEC).